Michelle is “totally blind”. 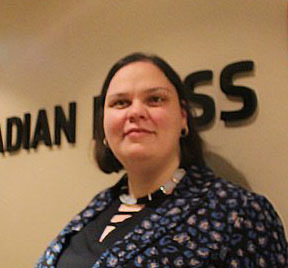 She has been a reporter with the Canadian Press for the last 12 years. She is also a contributor to AMI Audio.